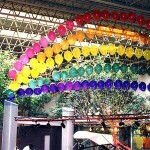 Rainbow balloon arch in mall above the motor boat to be raffled. Attracted a lot of people, as planned. Very effective and underutilized method of attracting attention of public and media. 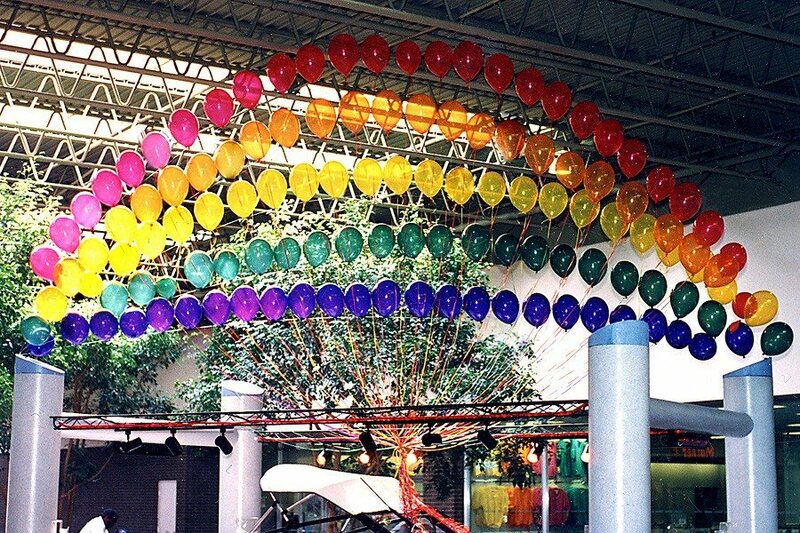 The larger the balloon structure the more reasons you have to give your favorite TV channel a call.